For serious shooting. 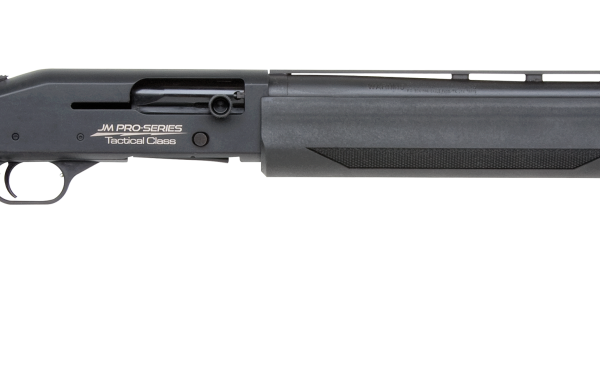 With the name Chainsaw you can rest assured this shotgun aims to perform. 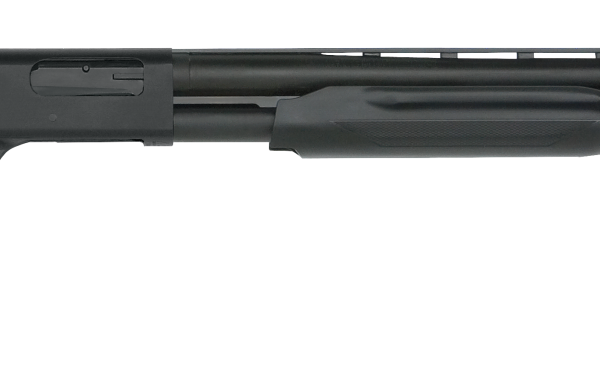 Synthetic black stock and black pistol grip. Features the unique chainsaw fore-end top grip that provides the shooter with added muzzle control when shooting from the hip. The grip is easily removed for rapid conversion to a standard fore-end. 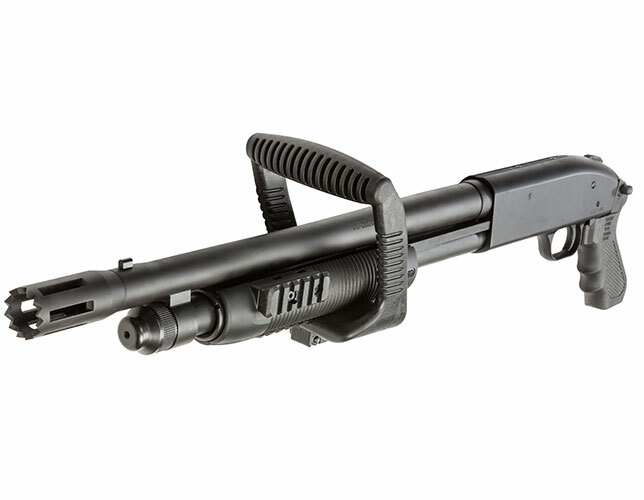 Also includes an 18-1/2″ tactical stand-off barrel with front breacher and accessory-ready tri-rail fore-end.